Becker Engineering prides itself on providing comprehensive water system solutions to many clients. A fully functional, reliable, clean, safe water supply and distribution network is an essential and invaluable asset to our communities. Water Supply, Storage, and Distribution Analysis and Design. Booster Pumping Station Design, Evaluation and Permitting. Water Source Evaluation and Feasibility Studies. Subdivision and Land Development Plan Reviews. Construction Administration and Management Services. Hydraulic Modeling, Flow Metering, Capacity Analysis. Emergency Response and Drought Contingency Plans. Tapping Fee and User Fee Analysis. Consumer Confidence and Annual Water Supply Reporting. Becker Engineering’s staff has a proven track record of successfully representing municipalities and municipal authorities during the planning and review processes of development by providing guidance through water, wastewater and stormwater engineering; GIS mapping; and construction observation. With our strong technical and personal skills, we can be a forceful yet fair advocate for municipal clients and are uniquely qualified to provide the wide range of professional support services municipal officials require. Performing detailed subdivision and land development plan reviews. Preparing and amending municipal Zoning Ordinances, Land Use Regulations, and Planning Design Standards. Providing general professional engineering representation to municipal staff, Boards and Commissions. Administering driveway and highway occupancy ordinances. Assisting zoning officials with the implementation and interpretation of Zoning Ordinances. Performing construction observation and construction administration services. Evaluating, designing and implementing drainage and roadway improvement projects. Performing detailed stormwater management plan reviews. Performing detailed water and sanitary sewer plan reviews. Water Supply, Treatment, and Distribution. Stormwater runoff and its management have emerged as primary development concerns for municipalities. Through our designs and oversight, we strive to make stormwater runoff an asset to an area that enhances the surrounding landscape and underlying aquifers, instead of a nuisance that plagues properties and areas for years. At Becker Engineering, our numerous years of experience and innovative methods have kept us at the forefront of this issue. We possess a track record of successfully incorporating current technologies to mitigate complex issues. Designing and reviewing detention, retention, and infiltration facilities. Designing and implementing structural and non-structural Best Management Practices. NPDES Phase II permitting for municipal stormwater systems. Federal, state and local permitting. Designing and reviewing stormwater conveyance facilities and networks. Construction observation associated with stormwater management facilities. Evaluationing Riparian Buffer Zone guidelines. The land development process is often viewed as a complex web of requirements and regulations, which create uncertainty for developers and property owners. We bring to this process extensive experience, a strong technical background, a keen attention to detail, and a clear understanding of the need for constant communication with our clients. Of course, to be truly successful, a project must be designed, permitted and constructed in a cost-efficient and timely manner. Using creative design approaches, our staff has successfully completed projects on a local, regional, and national level while insuring we remain within applicable schedule and budget constraints. Site evaluation and site selection. Feasibility studies and site master planning. Preliminary subdivision and land development plan preparation. Final subdivision and land development plan preparation. Permitting (PADEP, PennDOT, County Conservation District, Municipal, Utility, etc.). Our Staff possesses an extensive and diverse background in addressing surface water and related water resource issues. We are experienced in developing hydrologic and hydraulic models for floodplain studies, regional watershed studies, and dam permitting using various computer models, such as the U.S. Army Corps of Engineers’ HEC-HMS and HEC-RAS programs. Preparation and review of floodplain studies. Preparation and review of hydrologic and hydraulic models. Preparation of Emergency Action Plans. Becker Engineering possesses a vast array of experience and expertise in sanitary sewer engineering solutions to both municipalities and the private sector. 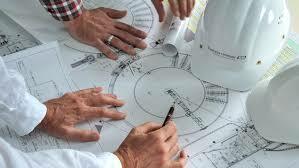 Services range from treatment plant and collection system design to pumping station design. Pumping Station or Low Pressure Design, Evaluation, and Permitting. Sanitary Sewer Manhole and Sanitary Sewer Pipe Rehabilitation. Collection and Conveyance System Design, Evaluation, and Permitting. Act 537 Planning and Chapter 94 Reporting. Treatment Facility Design, Evaluation, and Permitting. Tapping Fee and User Rate Analysis. Hydraulic Modeling / Design Capacity Analysis. Planning, Permitting and Compliance with Regulatory Agencies. Construction Observation, Administration and Management Services. This scope of services is based on the existing experience and expertise of Becker personnel and focuses on three primary service areas; groundwater resource development, land development, and environmental site assessment (ESA) services. Preliminary regulatory planning meetings including SRBC and DEP coordination. Structural geology evaluation using all available field and published data. Pre-drill planning and hydrogeology reporting. Aquifer testing, analysis, and hydrogeologic report preparation. Evaluation of soils and infiltration testing for stormwater and wastewater management facilities. Geotechnical evaluation for footing and foundation design. Geotechnical evaluation to determine bedrock elevation. Collection of hydraulic data and aquifer testing to define the hydrogeologic flow and transport systems. Environmental monitoring over time to establish trends in soil and groundwater quality. Identification of the horizontal and vertical extent of the release and projection to offsite areas through the use of fate and transport analysis. Evaluation of exposure pathways and sensitive receptors (i.e., surface water, private wells, wildlife habitat) that may be affected by the release, including ecological screening and risk assessment. Development of a conceptual site model identifying the location and movement of the release in the environment. Attainment demonstration of the selected remediation standard using post-remediation soil and groundwater quality data and statistical methods.